Holden Carver is a spy out in the cold, with no hope of going home. He is a superhero who was charged with infiltrating a criminal mastermind's organization, but the only person who knew he was a sleeper agent has been shot and is in a coma, clinging barely to life. Eventually, he rises in the organization to become a Prodigal, one of Tao's chief lieutenants. To make matters worse, Tao, the criminal mastermind, has the ability to control people's minds, and Holden is severely compromised in terms of maintaining his identity. Throughout the series, he vacillates between completing his mission and simply losing himself in the villain's role. Holden has a unique superpower given to him by an alien artifact that has grafted itself to his nervous system. The artifact absorbs all pain and injury he would feel and stores it. When Holden touches someone, they feel the pain and injury, sometimes with the intensity to kill. The artifact makes it difficult for Holden to feel anything, including emotions, further muddying his circumstances. His associates are similarly colorful, especially Miss Misery, a woman who gains strength, beauty, and invulnerability from criminal, amoral, and libidinous behaviors, and Genocide Jones, his super-strong, seemingly invulnerable friend who is also a muscle-man and assassin. Ed Brubaker and Sean Phillips created this series. They are frequent collaborators, and Sleeper was their first major undertaking. Since this series, they have gone on to others such as Criminal and Incognito. 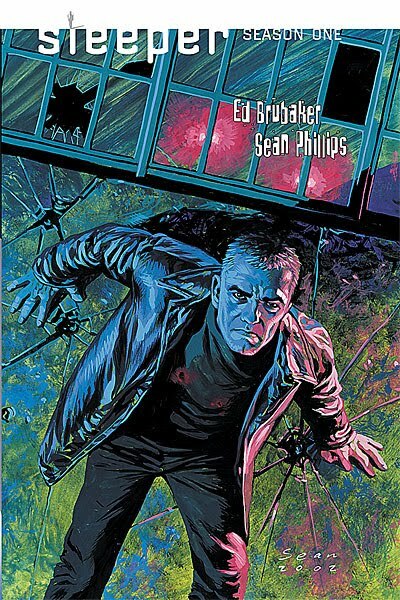 Brubaker is an Eisner Award winning writer who has also dabbled in being an artist at times. His most well-known works are Immortal Iron Fist, a run on Catwoman, his revitalized Captain America, and a well received series of Daredevil comics. Phillips has drawn a great number of American and British comics and received an Eisner Award for his work on Criminal. 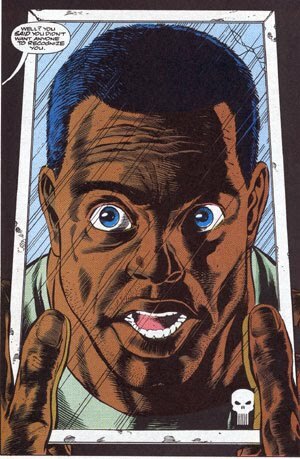 Sleeper, Season 1 was originally published as 12 issues from Wildstorm, an imprint of DC Comics. It was followed by a second season that completes the narrative. It was a popular series, and it has received some attention from Hollywood: Tom Cruise and Sam Raimi are reportedly interested in creating a film version. Reviews have been largely positive as well. For example, Stephen Giordiano commented that the tightly plotted and compelling story really draws readers in. Paul W. Smith wrote that "both books fill the senses with blood and adrenaline, and ensnare the brain in a dangerous web of conspiracy." Jack Bauerstein83 called it a "hit on all counts." There are lots of coming of age stories out there, but Blankets may be one of the most beautiful. It tells the story of Craig, a young man who meets the girl of his dreams, Raina, at Bible camp one summer. Both come from strict, religious, and conservative households, but they keep their romance alive through letters. Finally, their parents relent and allow Craig to visit during his spring break in a supervised manner. Then they get to spent more time together and become even closer. The rest of the book follows their relationship, Craig's growing uneasiness with his surroundings, and also his leaning more and more on the arts to help him relate to the world. The art captures a wide range of emotions and is simultaneously realistic and cartoonish. Craig Thompson took a great amount of time and care in telling and depicting this tale, making the reader alternately laugh, cry, worry, and seethe with anger. Perhaps most importantly, he tells this story without resorting to simple stereotypes or cliched solutions. 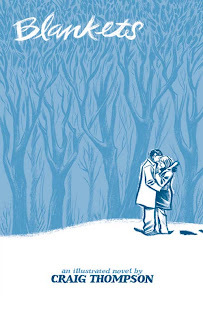 He has created a number of other graphic novels, including Goodbye, Chunky Rice and the travel diary Carnet de Voyage, and his work has been celebrated with multiple Harvey, Eisner, and Ignatz Awards. Blankets has received many accolades aside from professional awards. It was named on Time Magazine's Top 10 graphic novels ever published in English. It has also been published in multiple languages, winning the 2005 Prix de la critique in France. Reviewer Iain Burnside wrote that "it is essential reading for anyone who has ever been in love." In a detailed interview with Tom Spurgeon, Sean T. Collins dubbed it one of the major works of the decade. Andrew D. Arnold called it a "great American novel." Time.com's Todd Murry speaks of some of the flaws in the book but still calls it "borderline essential reading." A preview is available here from publisher Top Shelf. Harry Harlow was a controversial figure in his day. At a time when psychology was interested in pure science and the behaviorism associated with B.F. Skinner, Harlow was interested in love and the role it played in growing up, upbringing, and social systems. He conducted experiments with rhesus monkeys to see what would happen if they were raised in different social situations, including extreme isolation in a "pit of despair." He did most of his work at the University of Wisconsin-Madison and served as president of the American Psychological Association in 1958-59. 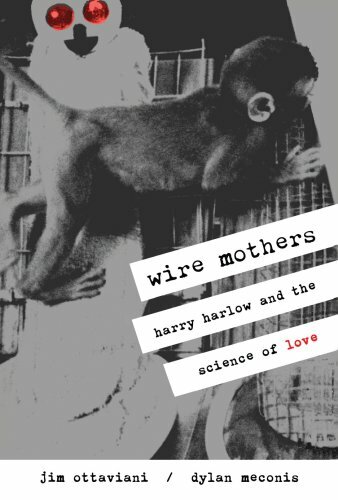 This book chronicles his most famous experiments, in which he set up conditions where baby monkeys were left with "wire mothers" (a wire version of an adult monkey body) who had bottles and "cloth mothers" (models with soft features), and found that the babies would only go to the wire mother for food but otherwise remained with the cloth mother. This preference was especially pronounced if the baby was frightened. Harlow's experiments radically affected the growth and social abilities of his test subjects, sometimes resulting in monkeys who would become extremely depressed, psychotic, or simply socially inept. These experiments almost certainly would not be allowed today, but they did prove the large role nurturing, physical contact, and socialization had in development. Wire Mothers was written by Jim Ottaviani, who has written a great number of scientifically themed graphic novels, including T-Minus, about the US-Soviet space race, and Dignified Science, about famous female scientists. He holds a number of masters degrees and formerly worked as a nuclear engineer. The art was provided by Dylan Meconis, an artist whose talents appear in an eclectic series of works, including Bite Me!, a story of vampires getting involved in the French Revolution, and Family Man, "a graphic novel about 18th century universities, religious doubt, and (eventually) werewolves." More information about Ottaviani and Meconis can be found in these interviews with the Comics Reporter and Comic Book Resources. As in the past, Ottaviani's work is well reviewed. Star Hoffman called it "an absorbing work that is at once instructive, entertaining, and poignant." Colleen Mondor wrote that "It’s a great jumping off point for students" that "just might spark some actual interest in those poor souls." Johanna Draper Carlson loves Ottaviani's work and recommends the book. A preview and study guide, among other resources, are available here from G.T. Labs. This was the first book written and drawn by Aaron Renier, the Eisner Award winner for Talent Deserving Wider Recognition in 2006. He has illustrated for a variety of publications including a series of Knights of the Round Table books written by Gerald Morris. He has recently published another graphic novel The Unsinkable Walker Bean for First Second Books. 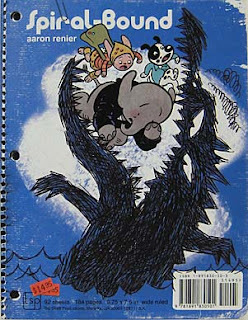 Spiral Bound was nominated for the 2006 Eisner Award for Best Work for a Younger Audience, and it has been generally well received. The American Library Association included it on their 2010 "Good Comics for Kids" list. Reviewer Greg McElhatton gushed that it was a "must read" and a "tour-de-force." The Onion A.V. Club sum things up well, writing that even though Renier's art looks like it's aimed at children, "his storytelling is sophisticated, his characters are winning and sympathetic, and his bizarre conceits—like the whale who teaches art classes from a giant truck-mounted fishbowl—are a constant source of surprises." A preview is available here from the book's publisher Top Shelf. A comic book version of the Charles Bronson character from Deathwish, Frank Castle has been a thorn in the side of the Marvel superheroes since 1974. After witnessing his family's execution at the hands of mobsters, Frank became the Punisher, a one-man army who wasn't afraid to take the law into his own hands to handle the bad guys. Originally intended as a throw-away Spider-man villain, the Punisher became strangely popular, reappearing as a guest star multiple times until given his own series in the 1980s. His adventures were even adapted into a 1989 movie starring Dolph Lundgren (not to mention two more films in the 2000s). 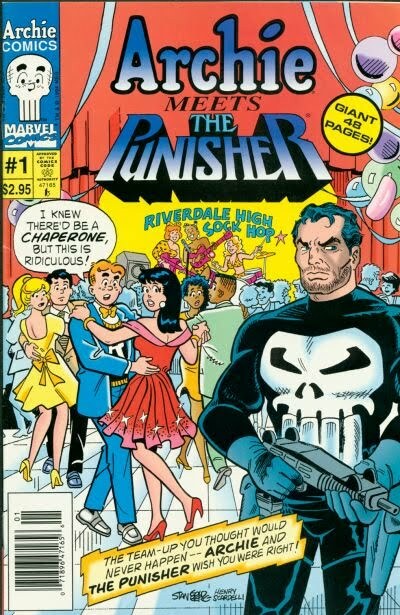 The 1990s were not as kind to Frank as his comics fell in popularity. Welcome Back, Frank ended all this silliness, returning the character to his dark, gritty origins and adventures. In his return, he has to face a ruthless Russian mafia, various copycat vigilantes who are using his methods for their own purposes, nosy neighbors, and the meddling of police and Daredevil in his activities. It is a violent book, full of blood and guts, but also one that has a surprising number of darkly comic moments and situations. Originally a series of 12 issues published in 2000-2001, this collection was written by Garth Ennis, an Irish writer famous for works such as Preacher, The Boys, Hellblazer, and Hitman. His stories tend to focus on moral/religious issues, loyalty between friends, war, violence, and the inanity of superheroes. The art was provided by frequent Ennis collaborator Steve Dillon, a British artist who has been drawing professionally since the late 1970s for a great range of publications, including Preacher, Hellblazer, 2000 AD, and Wolverine: Origins. Jimmy Palmiotti, a very accomplished comics artist and writer with tons of his own credits, inked the final work. 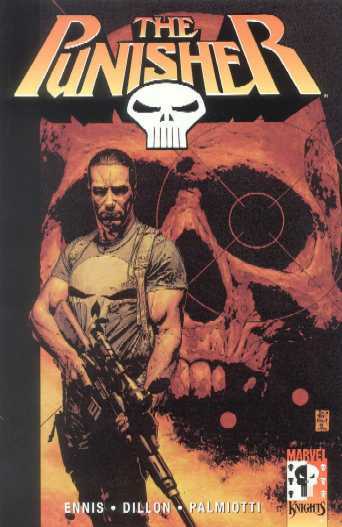 These stories were well received, and they marked the beginning of 7 years Ennis would spend writing Punisher stories. Reviewer Michael Deeley wrote that this book was "incredibly violent to the point of being funny" but also added that its punch lay in its compelling supporting cast. 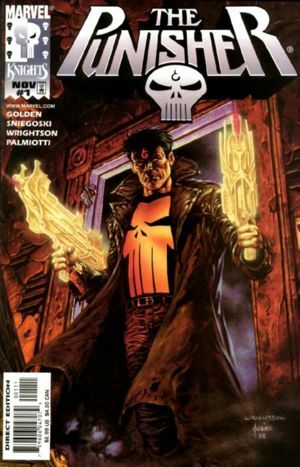 Will echoed the sentiment that Ennis created a Punisher "with guns loaded with satire. Hercules: The Twelve Labors is a straight-forward adaptation of the most famous of Hercules' many adventures. The story begins briskly, with his birth and how he defended himself against serpents sent to kill him in his crib. It turns out that Hera did not take well to Zeus having a child with a mortal woman, and she does everything in her power to kill or humiliate the ultra-strong demi-god. Through her plotting he falls beholden to King Eurystheus, having to do his bidding. The King takes counsel from Hera and sends Hercules out on a series of labors, which all seem impossible. Paul Storrie wrote this version of the story. He has written a number of the myth books in the Graphic Universe line. He has a number of other graphic novel adaptations, most notably a series of Robin Hood comics. The art was provided by Steve Kurth who has drawn a number of comic books over the years, including Dragonlance, G.I. Joe, and the recent Iron Man Legacy series. He displays his artwork in process on his blog. 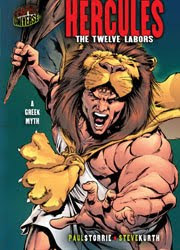 Hercules: The Twelve Labors was a Junior Library Guild selection, and has received positive reviews for academic uses. The Graphic Classroom highly recommends it for classrooms. Joy Fleishhacker from The School Library Journal also celebrates the book, recommending it for use in grades 6 through 9 and commending some useful sections, including the glossary and further reading list. A preview is available here from the Lerner Publishing Group.